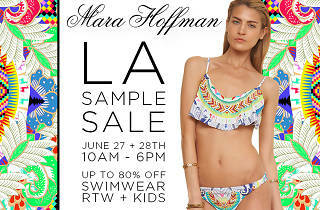 Mara Hoffman is a newbie when it comes to sample sale life until now—this month the fancy swimwear brand is hosting not one, but two sample sales. 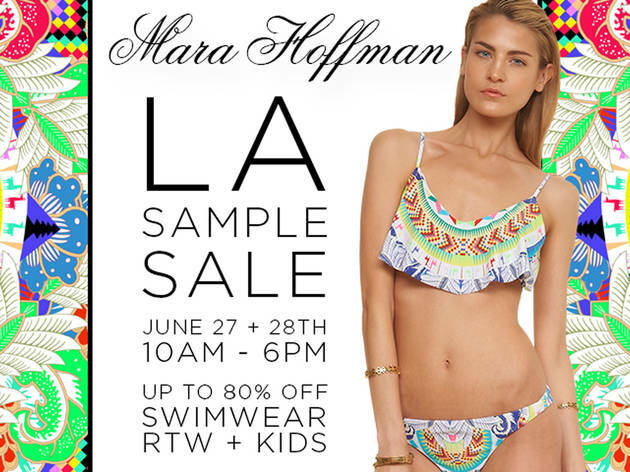 First up, get your phones/laptops/tablets ready for the Mara Hoffman online sample sale on June 16-18 with swimwear at up to 65% off. Followed by the in-person sample sale at the Unique Space in the Downtown Arts District (1275 E 6th St) on June 27-28. Shop for 80% off lace-up pieces, v-wire bikini tops with classic bottoms, leggings, rash guards and, well, basically everything you'll need this summer. Tip: Show up wearing loose-fitted clothing so that trying on piece will be quick and easy, freeing you up to grab more pieces.